Photochromic lenses change color in the sunlight. Typically, they are clear indoors and at night and change to grey or brown when exposed to direct sunlight. There are other specific types of photochromic lenses that never turn clear. ◆ Fast speed of changing, from white to dark and vice versa. ◆ Perfectly clear indoors and at night, adapting spontaneously to varying light conditions. ◆ Very deep color after change, the deepest color can be up to 75~85%. 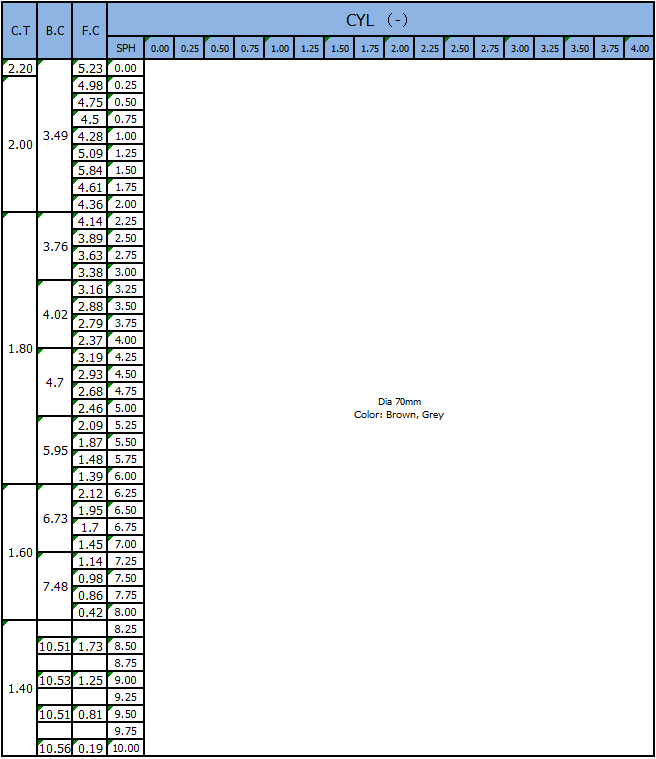 ◆ Excellent color consistency before and after change. Perfect blockage of harmful solar rays and 100% UVA & UVB. Photochromic molecules are equally bedded in lens material, and are activated year by year, which ensure durable and consistent color change. 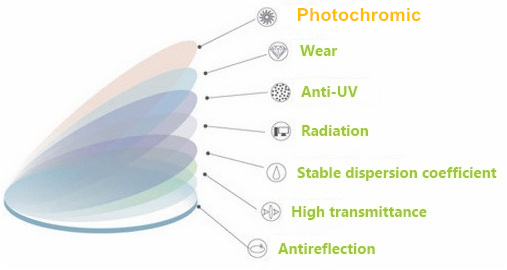 5) The function of the photochromic lens. 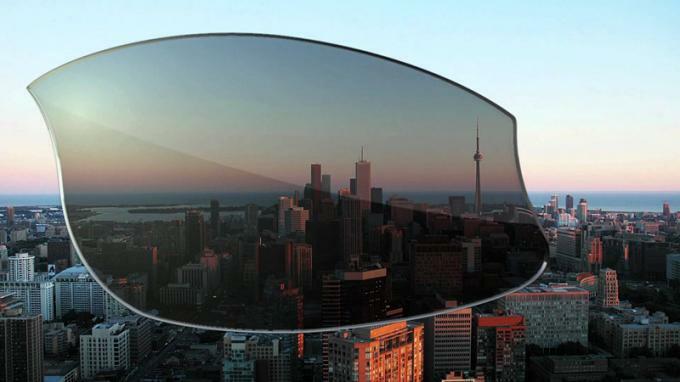 Photochromic lenses change color in sunlight. Specifically, they darken when exposed to UV rays. Most photochromic lenses are clear indoors and at night, and turn gray or brown when in direct sunlight. Aoang photochromic lenses are a type of Transitions. They start at clear color and turn dark rust in sunlight. 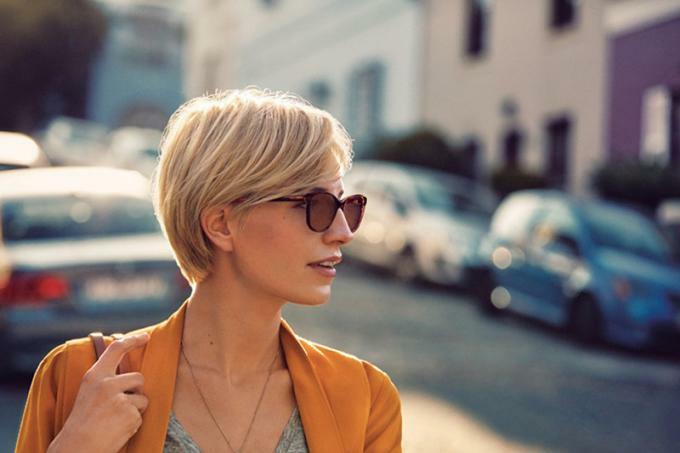 They are a daytime-only lens that increases contrast and visual acuity. They’re great for driving, golfing, and active sports. 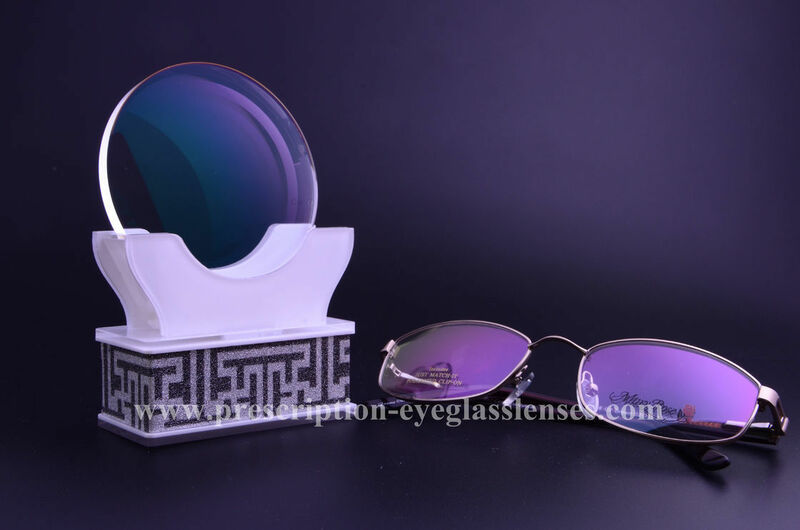 ------Hard Coating: The hard coating can help the lenses be destoried. 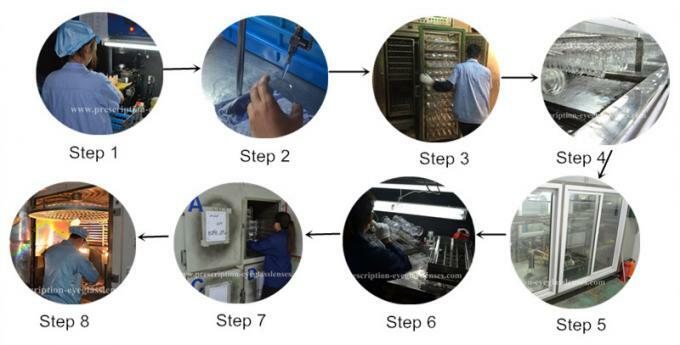 ------EMI Coating : It means coat another anti-reflective coating on the hard coating . It can perfectly reduce harmful ray and enhance the vision effect..
------Super hydrophobic coating: It takes the lenses waterproof, antistatic, anti slip and oil resistance which can keep half one year ~one year.